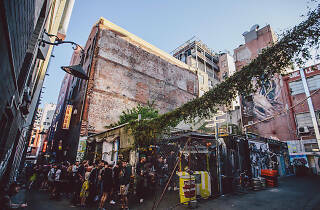 Has it really been 13 years since Section 8 first popped up in a laneway off Lonsdale Street? 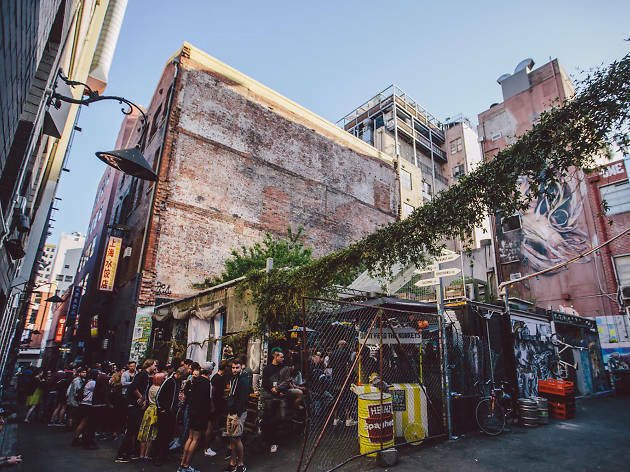 Since then, the grungy container bar has hosted countless parties, world-class DJs and chilled-out Sunday sessions. It's a go-to spot that never fails to bring the good vibes – so what more of a reason do we need to celebrate it? This Easter weekend, the Section 8 crew are putting on a four-day birthday bash featuring live music from some top DJs, projection mapping and all the usual madness that comes with one of their free parties. The event will feature 23 acts including World DMC Online champion DJ Spell as well as Horatio Luna, Close Counters, Mz Rizk, Daniel Elia, Mohair Slim from Triple R, Miss Goldie from PBS FM and more. Check out the full line-up here. The party kicks off a 5pm on Thursday and Friday and runs from noon until late on Saturday and Sunday.